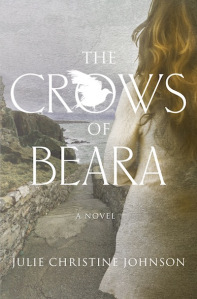 With a marriage on the rocks and a troubled past she’d like to forget, one woman leaves America behind and heads to the rocky Irish coast with hopes to salvage her career and build a new life in Julie Christine Johnson’s The Crows of Beara. What an honor to be featured on Cathy’s beautiful blog! I’m thrilled to be hosting today’s stop on the blog tour for The Crows of Beara by Julie Christine Johnson. Set in Ireland, it’s a wonderful story about guilt, the search for redemption and the restorative power of art and nature.